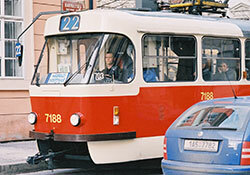 WHO/Europe supports sustainable transport policies by promoting active mobility and public transport. Such policies help reduce air pollution, noise and greenhouse gas emissions, energy consumption and congestion, as well as improve road safety and offer better protection of landscapes and urban cohesion. Increased physical activity also reduces the risk of many noncommunicable diseases and obesity. This mix of transport policies can also provide opportunities to create new jobs or to green existing jobs. WHO/Europe carries out most of its activities on transport and health within the Transport, Health and Environment Pan-European Programme (THE PEP). THE PEP activities are detailed in a 5-year work plan. Partnerships between governments, local authorities, the business community, nongovernmental organizations and other interested stakeholders are encouraged to support activities.